Hey internet world! We have been home for a week or two or so but it kind of feels like it's been a month. Time has been moving very slowly. The weather in Ohio has been skyrocketing back and forth between 70 and relatively pleasant and 30 degrees and snowing. It has definitely been making my brain feel confused, especially after being in Texas for a lot of the last month. I keep thinking we are in November. It is April. I guess that's just where I'm at. Other things we've been up to include doing a SOFA SESSION with the folks at Sofaburn Records. We did a few live videos of songs from our next record that will be popping up around the internet in the next couple months. I'm pretty excited about the new album we are about to put out..It's officially coming to you this summer and is going to bet 14 tracks of all-over-the-place madness. The album art is also gorgeous. And the dates that Daisy is putting together for the next 5 months of touring are crazy and all across the map. Another random thing I did while home was to make a solo video for NPR's tiny desk competition. I've been submitting random stuff every year since NPR started doing the competition and it has become a bit of a yearly habit. You can check out a super low budget (aka my iPhone 5) video of looped cello here: https://www.youtube.com/watch?v=EcaRJndiT4Y&feature=youtu.be . 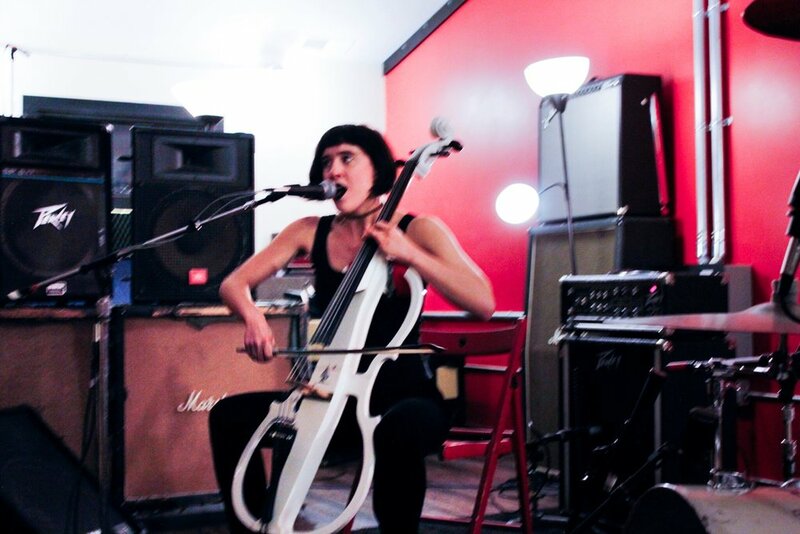 Also recorded backup cello for a local band in town called Sungaze. I'm digging their sound a lot, and it's always fun to do stuff that is out of my norm musically. Being home is strange right now. When you get into a routine of playing shows every night and meeting new people every day, being back in one place can feel incredibly isolating and bizarre. We are going to be in Indy and Wisconsin this weekend and I absolutely cannot wait. Too much home-time is making me feel stir-crazy. The next time I post on this thing, I'll be back to sleeping in my real bed (the van), and waking up in one of my favorite 5 star hotels (Walmart Parking Lot, Love's gas stations). Sending love and sunshine to all the folks out there who are feeling seasonal depression right now, and to all those who aren't as well.